One day Mousie asked me what I wanted for lunch and I said I wanted ramen. She said, "We don't really have ramen places in Edmonton." Then she thought long and hard and finally said, "Hmmm... There's this one place that has it..." And that's the story of how I discovered Nomiya. I haven't heard of any other ramen restaurants since, so it could well be the only place in the city that serves it. 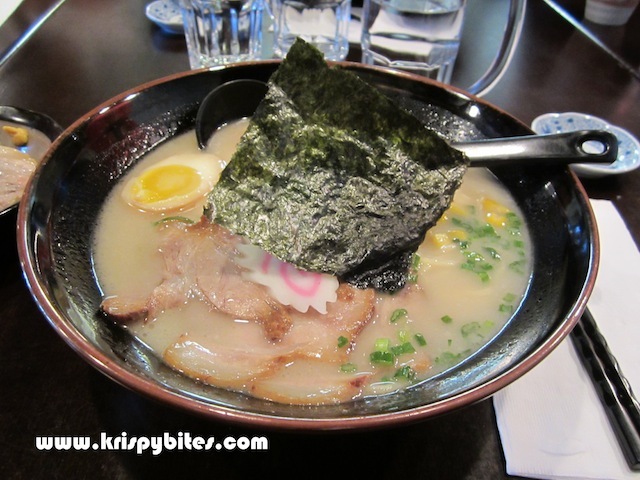 I've tried a few of the ramen soup bases including shio ($9.50), tonkotsu ($11), and miso with buta kakuni ($11). The one I like best is the shio because the flavour is light and savoury, and it comes with half a soft-boiled egg with gooey yolk (and it's cheaper!). The tonkotsu is really similar to the shio, except it comes with spinach and no egg. 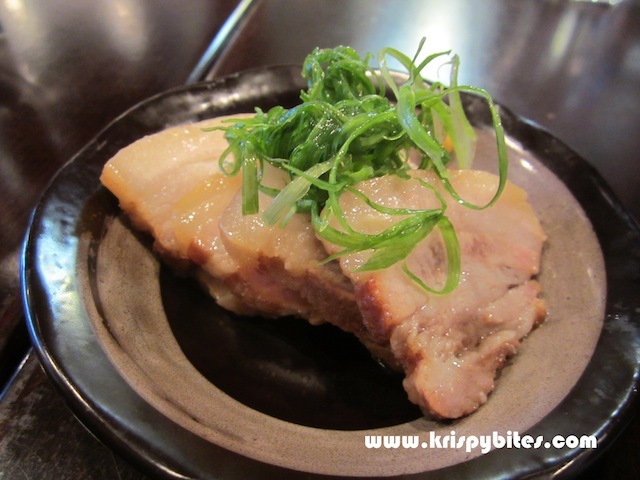 But no matter which soup base I get, I always substitute the chashu with buta kakuni (pork belly) because I just love those thick fatty layers. In general the ramen is pretty decent, though not comparable to the likes of Santouka in Vancouver. But I think it's actually better than places like Benkei and Sanpachi. 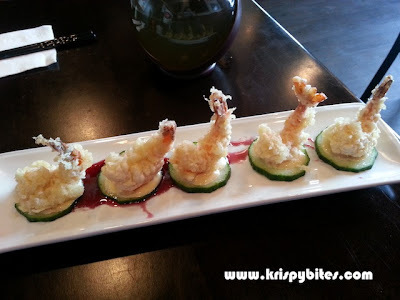 On another visit, I got the ebi mayo as an appetizer. The shrimp was not fresh and the deep fried batter didn't succeed in masking the non-fresh taste. The cucumber slices were just a tad slimy with a grassy taste, and the red fruity sauce/syrup just didn't go with the dish. I didn't have high hopes to begin with, so I wasn't really disappointed. I had the temaki combo on another occasion and the sushi was very underwhelming. One cone was avocado, one was spicy tuna with cucumber, and the third was chopped scallop with avocado. I think the fillings were made with leftover seafood because the texture was very mushy and the sauce was so strong that it completely dominated the flavour of everything else. I've also tried a few other sushi rolls and combos, and in general the sushi here is pretty bad. The only decent rolls are the torched ones like the dragon roll. But even then, the fish is not fresh and the roll only tastes alright because of an excessive amount of creamy sauce. If you do decide to try the tapas here, come during happy hour (Mon-Thu: 4:30-6:00 pm) when there's a special menu offering a variety of food items for $3, $5, $7, and $9. Personally I would only come here for the ramen. How were the sushi "pretty bad"? I've always wanted to be able to discern the quality of sushi apart from freshness of the fish. Got any tips? @Shannon: I'm not sure how the pros do it, but personally I think it's bad if the fish is not fresh like you said, and/or if the rice is not done properly. The rice might be too sour (too much vinegar) or not sour enough. Sometimes the texture is too mushy and the sushi falls apart easily, and sometimes the rice is hard and dry because it has been sitting around for too long. 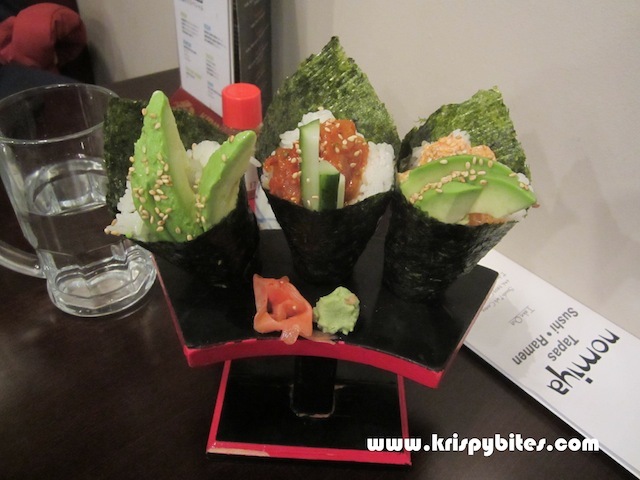 And in those sushi rolls with lots of ingredients, the flavours might not work well together. Agreed, most items on the menu aren't spectacular. When they first opened, even their ramen wasn't very good. I think they've learned though and the ramen is steadily improving. Every time I go, it gets a little bit closer to the likes of Vancouver! 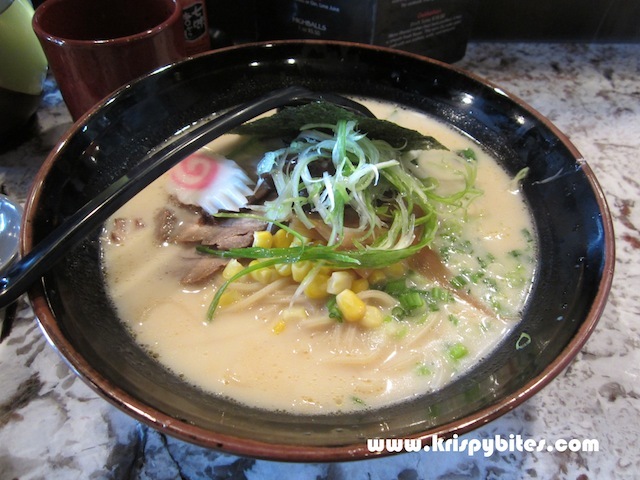 @cindurh: I'm glad there's at least one ramen restaurant in Edmonton :) And I just found out that Fork Fest is on right now until Jan 31! Sounds like the same thing as Dine Out in Vancouver... I'm planning to try a couple places!